Home / Around the World / 12 Things to Know Before Your runDisney Race Vacation! Let’s preface this by saying we aren’t super, in shape runners. Mike exercises by running regularly, but Jamie really only runs when something is chasing her. With that being said – there is one form of running we can both agree is well worth getting in shape for… and that’s runDisney! Leave it to Disney to make even running a magical experience. 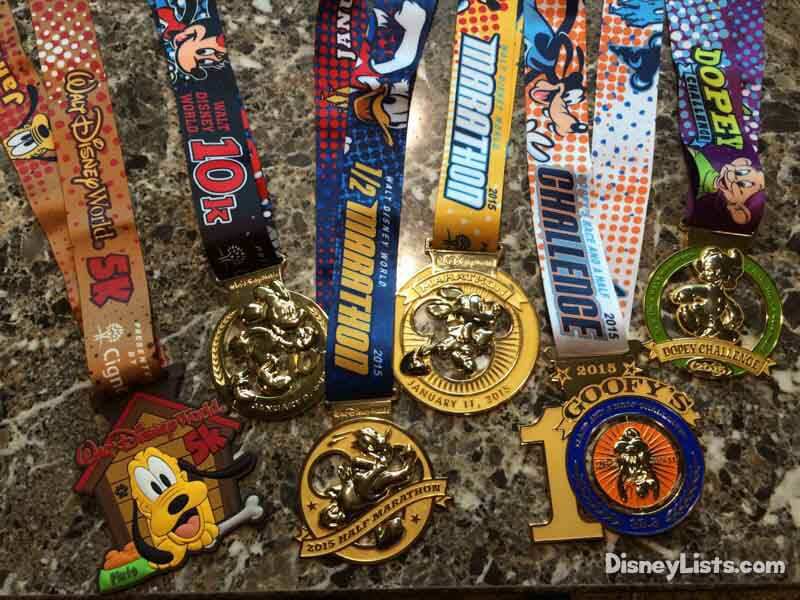 Before you decide to sign up for one of the runDisney events for a race vacation, you’ll want to be sure to keep these points in mind. 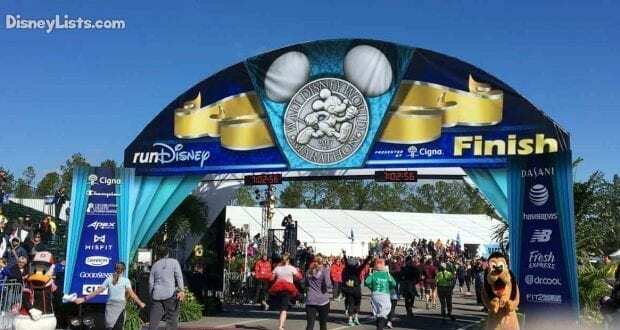 There are typically four runDisney Race weekends at Walt Disney World. These include Walt Disney World Marathon Weekend (January), Disney Princess Half Marathon Weekend (February), Star Wars Rival Run Weekend (April), and Disney Wine and Dine Half Marathon Weekend (Oct.- Nov.). Within these four weekends, there are several race opportunities that can include Kids Races, 5K, 10k, Half-Marathon, Marathon, and even a Challenge Runs which includes doing all races. We’d recommend checking out what length of races are available on the different weekends before signing up. You’ll also want to check out the theming and see which one appeals to you! If possible, we highly recommend staying on site when planning a runDiseny Race Vacation. Disney does an excellent job of providing transportation to and from the race location, making it super easy to get on and off the bus right at your resort. This will take the worry of having to drive and navigate your way to the race location. Plus – your car won’t smell like a gym locker after the run! Go ahead and book as early as possible as Disney Resorts do sell out. There are even package deals you can get from travel agents that include race admission and a resort room. The runDisney races always start off early in the morning to try to push as many runners through before the parks open. This means you should expect to wake up bright and early so you can arrive at your corral well before the run begins. As mentioned above, if staying on-site timing isn’t such an issue because the resort will tell you when the buses depart. If driving in however from off-site, you’ll really need to watch your time and plan a little extra to get in through the race traffic. Arriving early and waiting is better than pulling in the last minute in a panic. One thing we love about runDisney events is that you’ll see all sorts of people out there enjoying the race. Some people will walk the entire race, others sprint like Maleficent is after them, and some try for the walk/run method. However you plan to do your race, we highly recommend that you train. There are multiple training guides available online to follow along with that can help. The worse thing you could do is go out there and get hurt because you’re doing something your body has never done before. Plus, if you see some ladies with balloons RUN! If the “Balloon Ladies” pass you that means you are “swept” and will be picked up by a Disney bus without completing the race. You’ll still get your medal because you paid for it, but to finish strong training is necessary. 5 – Don’t Forget the Costume! Just about any other race, you go to back home, everyone shows up with their bib and regular running gear. At Disney, costumes are all the rage! So, go ahead and have a little fun with planning your costume in advance to match the theming of your race. Star Wars? Maybe you want to sport a Darth Vader cape. Princess? How about a tutu and tiara? However, you decide to dress up, take it for a test run first because you wouldn’t want it obstructing your running/walking ability. runDisney will send you instructions on when and where to pick up your race packet which includes your bib and t-shirt. 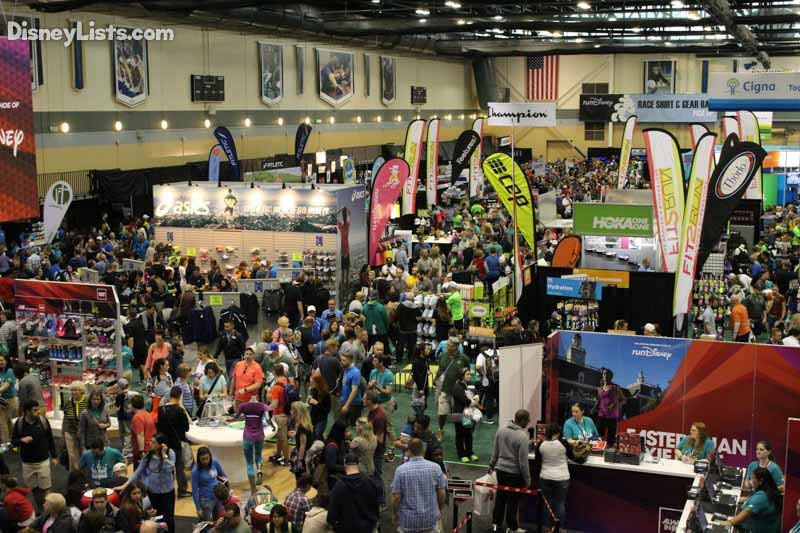 Something that is often forgotten is that there is a LOT to do at the Race Expo if you are interested in exploring the ESPN Wide World of Sports complex. Some rush in, grab their race packet and go – but don’t miss out on dining at the complex, the endless runDisney merchandise, vendors, training seminars, yoga, and even great photo opportunities. It’s easy to spend a half day enjoying the Expo! Some people prefer to go into a run blindly without checking out a course map in advance. It’s not that you’ll get lost on the course if you don’t look in advance, but it’s still nice to have an idea of where you’ll be running during which mile. Some of the runDisney races take you through certain parks, down main roads, behind the park scenes, and right by beautiful Disney Resorts. You’ll want to have your phone or easy to run with camera ready to snap a few great pictures. What’s a runDisney Race Vacation without enjoying the parks a little? Take advantage of your time at Disney and pick a favorite park or two to visit. With that being said… be smart! The parks take a LOT of walking – particularly at Epcot and Animal Kingdom. It might be a good idea to take the night off before the big day and rest up in your resort room. The worse thing you can do is exhaust yourself before the big race because you’ve been walking around the full day before. What you put in your body will make all the difference on race day! Go ahead and splurge on that Mickey Ice Cream Bar or Turkey Leg but be aware that you don’t want to bog yourself down with too much of that otherwise tasty junk food. Some restaurants will do a special runner’s meal with a great dose of protein and carbohydrates. One more note – watch the alcohol intake. The best thing you can do for your body is to stay hydrated. When drinking alcohol before or right after a race, be aware that flushing it with a lot of water is critical. We’d recommend you stick with water on runDiseny Race Vacations. What shoes are you bringing? This is super important! Pack the running shoes you’ve been wearing during training for the big race day. It’s not easy to try to break in a new pair of shoes (no matter how good they look!) on race day. If you are doing one of the Challenger races which include more than one race, a couple of good, broken-in running shoes would be wise to pack so you have a backup pair if needed. 11 – Get Ready to See Lots of Characters! We LOVE that runDisney has Disney characters spread out throughout the run. If you are worried about your time or finishing the race before the “balloon ladies” come, then you might just wave and smile as your run by the character. Otherwise, there are usually long lines to see the characters. Some of the lines are worth the wait as runDisney has unique/rare characters you might not see anywhere else. Try to figure out who you’ll see along the run in advance and plan which characters are worth stopping off for a photo with. Well, it is what it is. There is a very large amount of people all doing the same race and one of the most popular spots before, during, and after the run are the portal potties/johns readily available for runners. Don’t wait until the last minute you decide you have to go because you will be waiting in a line to go. A little tip – if you run through a Disney park, the restrooms are typically open. Stop off and use one of these often overlooked restrooms along the running path. There you have it! So, grab that sweatband, slide on those shoes, and get ready for a runDisney Race Vacation to remember!